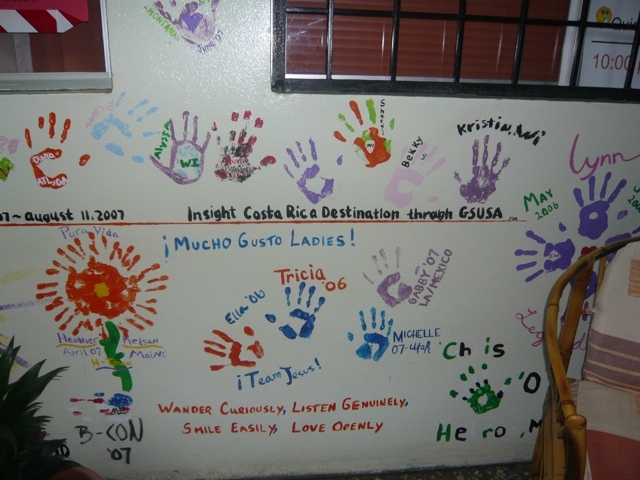 One of the first things I noticed when I walked into the CCS Home Base in Cartago was the handprints. They were everywhere. Coated across every wall in every room (including the bathrooms!) and covering every single empty space, making them hard to miss and hard to resist. 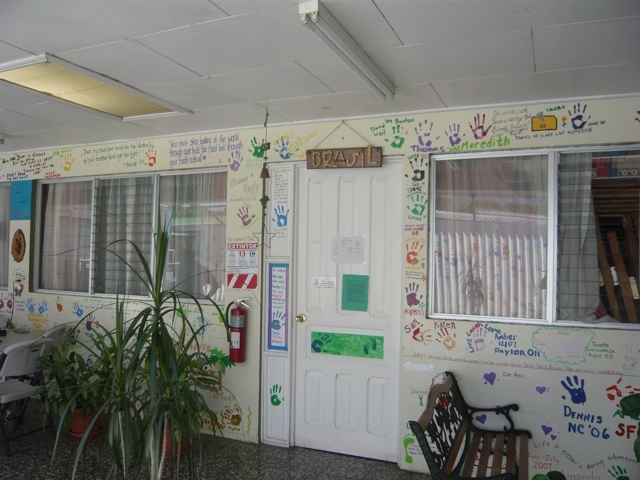 Every single volunteer that comes through CCS Cartago’s door is invited to paint their handprint, artwork and a quote on the walls of the inside of the home base before they leave. 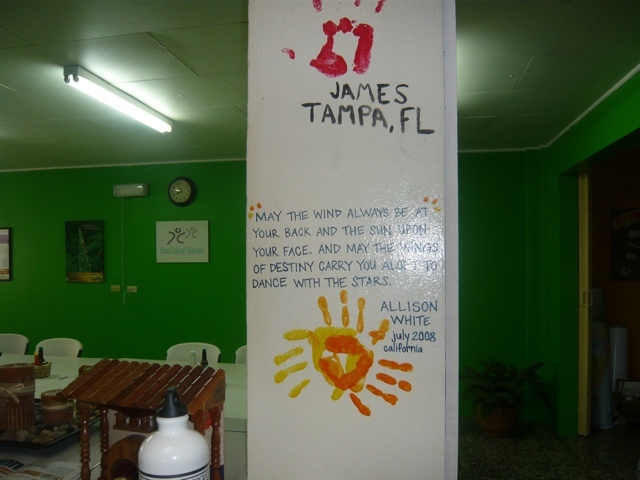 The handprints represent the mark they made in Cartago and I found it truly inspirational to read them. 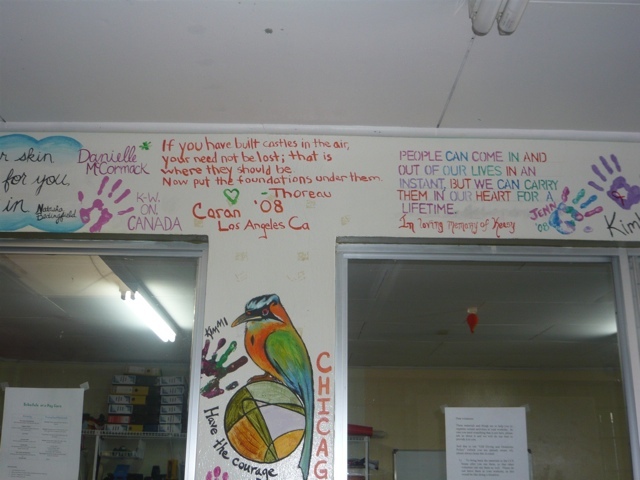 Not an ounce of wall was free from art, quotes, poetry, songs, handprints and names of past volunteers. 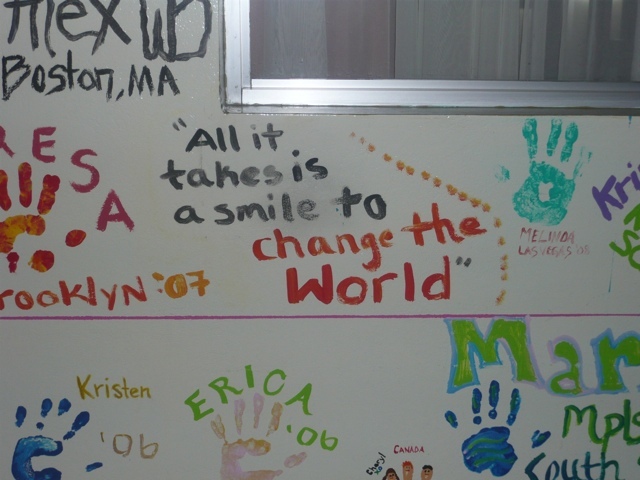 I could not believe my eyes and would spend any free moments I had during the week reading the walls and reflecting on what each volunteer had said. I also had to think about what I would want to say before I left and where in the heck I would put it since the free space was very limited. Reflecting back, of course I was very skeptical about the impact I’d have on others in only a week’s time. However, by the end of my week volunteering I was pleasantly surprised to see that all my doubts were proven wrong. I knew I had made a difference in the smiles and hugs I received by not only the friendships I made at the Hogar Jesus de los Manus Nursing Home and Dona Melba’s foster children, but also in the cultural exchange and friendship I shared with the staff at all places including the CCS Home Base (Santi, Jose, Lucy, the cooks and the security guards) and the volunteers as well. However, by far the most surprising thing of all, was that I realized that I received a gift as well. The gift of an overwhelming sense of satisfaction, contentment and joy by the power of giving back. That is a gift that will forever change me and continue me on my path to somehow, if even small, make a difference in this world. 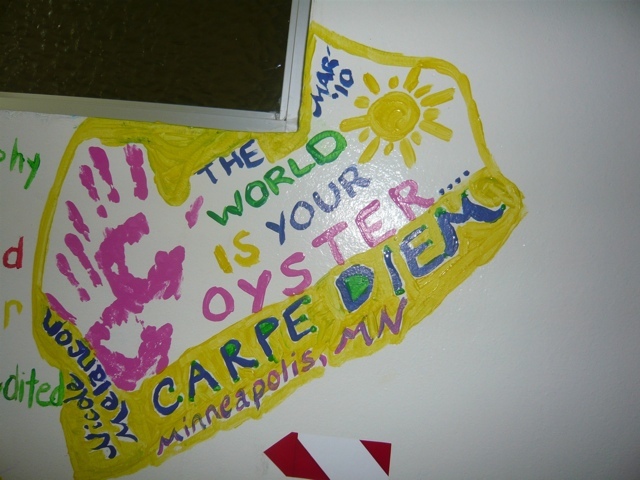 I thought about the quotes and what my week long volunteer stint had meant to me. It meant many different things. Beautiful, compassionate things about how one can truly make a difference, even if it is small, by just giving someone in need a smile or a shoulder to cry on. The fulfillment and joy received by helping people who can’t help themselves due to poverty, abandonment, disability, drug or alcohol abuse or simply old age. In our busy lives back at home in the States, yes of course we have problems, yet it is easy to loose sight of the bigger picture in the world and all those people who are suffering and could use our help. That is what my week volunteering in Costa Rica taught me. That anything is possible and that anything can help. I feel I can no longer travel without giving back, whether it be volunteering, making a new friend abroad or raising money at home to donate to a local NGO in the country I’m visiting. This is my new mantra and raison d’être. I can no longer be just someone passing through. When a place shares their country and all its wonders with me, I am obligated to give back something in return. That is the promise I made myself after Costa Rica. Now it’s time to start fulfilling my dreams! P.S. For those who are wondering….where is she off to next? I am heading out April 15th to Rabat, Morocco to complete another international volunteer program with Cross-Cultural Solutions. I will be working with Moroccans and African Refuges on learning English. Stay tuned! A lovely post and I love your new mantra. I totally agree. If we all gave back a little to the communities we visit in any way we can then we can make a difference. Good luck in Morocco. By the way, there are plenty of NGOs here in Guatemala looking for volunteers. Thank you so much! 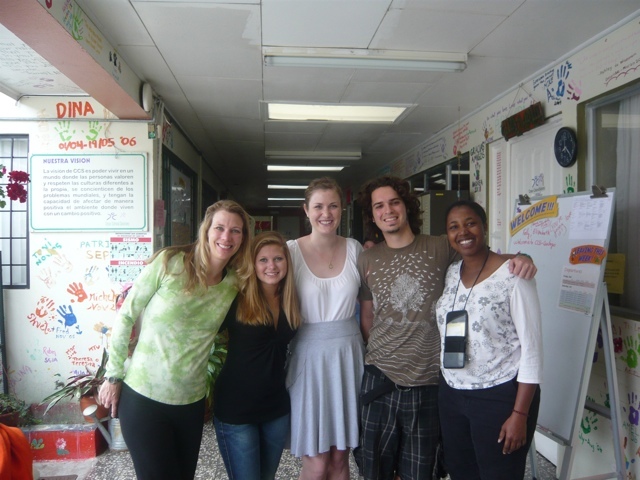 I thought about Guatemala as I loved Costa Rica so much and I would love to experience another Central American culture. If you have any NGOs that you would recommend, please let me know! I’m sure there is a big list in Lonely Planet however I also like firsthand recommendations! Take a look at the following published monthly in a local bilingual magazine. There are so many NGOs in Guatamala and they’re all looking for volunteers. If you take a look at the above you can see which areas interest you most. It’s really hard to make any recommendations. If you come to Guatemala, let me know & maybe we can finally meet face to face! Thank you so much! I would love to visit! Perhaps I can put this on the list for the next one. What do you do in Guatemala? What a wonderful place to live! No worries! I hope you make it down here while I’m still living here. I’m trying to earn money as a travel writer and photographer. 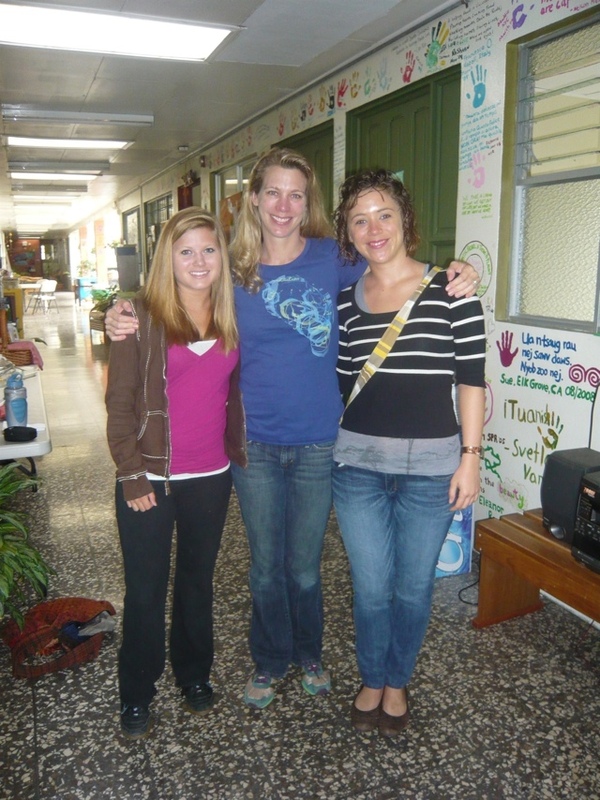 I’m a contributing author for V!VA Travel Guides Guatemala guidebook and am now writing magazine articles. Early days yet though! I got the link to your blog from CCS’s facebook page. 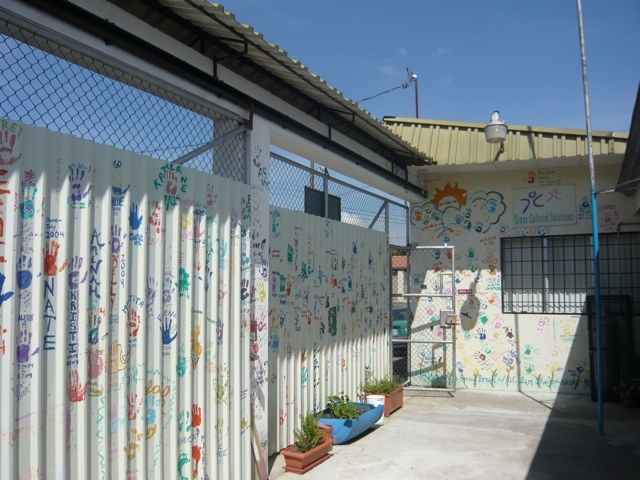 I volunteered in Cartago in 2009. It was an unforgettable experience!! 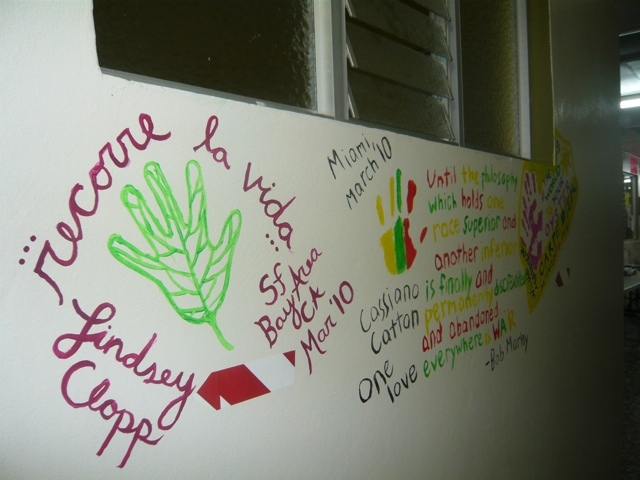 I also worked at Hogar Manoes de Jesus and I still have not forgotten all the amazing people I met! My handprint is in the ladies’ bathroom near the sink (hehe, not like you’d remember them all): “And in the end the love you take, is equal to the love you make” (-The Beatles). Thanks for sharing your blog, it brought back so many wonderful memories!! Wow, that is cool. I haven’t checked the CCS facebook page out. Where is the link? I am curious! 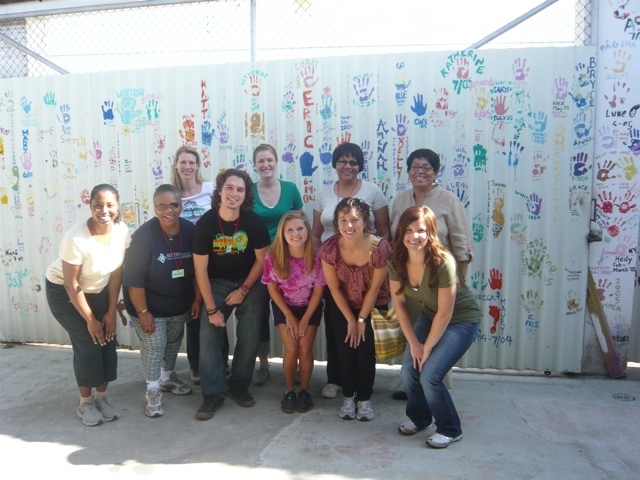 I am going to volunteer in one week in Morocco with CCS! I will update on my blog as soon as I can. Stay tuned. That is so cool that you went there too! Of course you can use some of the pictures and I’d be happy to email you the ones you really want as well. Let me know! Great to hear from you! Are you volunteering again? Great blog,nice photos .Your favorite quotes that touched me deeply also. Thanks for sharing many information about Guatemala…….